The Ritz-Carlton, Half Moon Bay is an elegant yet beach-casual resort on the cliffs above the Pacific Ocean, an hour from San Francisco. Bordered by a walking path with ocean views and the green rolling hills of a golf course, it’s a destination hotel that feels worlds away from busy schedules yet is packed with nearby outdoor adventure and foodie fun. Whether for a weekend getaway or as part of a longer road trip, Half Moon Bay is easy to access from San Francisco — on the hourlong drive, city congestion turns into farms and a quaint downtown. Known as the pumpkin capital of the world for its annual pumpkin festival in October, the town has much to offer families year-round. It’s truly a find, with activities to satisfy little ones, teenagers, active families, foodies and shoppers; a weekend here isn’t enough to see and do it all. 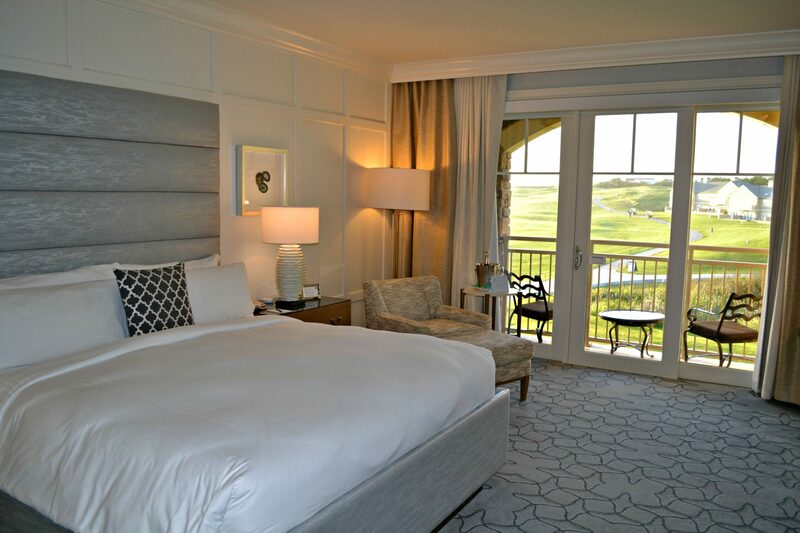 The Ritz Carlton, Half Moon Bay is located a few minutes beyond downtown, ideally situated for exploring the area. Beautiful inlets and beaches along the resort walking path. The grounds at The Ritz-Carlton, Half Moon Bay evoke a slice of Scotland in California. The cliffs, combined with the green hills and sounds from the strolling sunset bagpiper, bring Europe an ocean closer. There are small cove beaches on the resort grounds as well, plus huge swaths of grassy areas for playtime. Newly renovated rooms are spacious and those with sea views or golf course views are highly recommended. The resort has various room configurations for families, including rooms with two beds, suites and connecting rooms. Bathrooms are elegant; many feature separate showers and soaking tubs. There are two main restaurants at the resort, The Conservatory and Navio, and both benefit from an abundance of fresh local foods. The Conservatory is casual and Navio is more upscale, with fine dining in the evening. It’s better suited to families with small children during the day. The weekend and holiday breakfast buffet in Navio is not to be missed. Cleverly set up like an artisan market, it offers an outstanding array of homemade jams, pastries, granola and egg creations. Dining at both restaurants is enhanced by large picture windows that take in the sweeping Pacific Ocean views. The walking path is suitable for a short bike ride and also connects to a longer coastal trail. Adult bikes are available; children’s bikes can be delivered with advance notice. The Ritz Kids children’s program welcomes kids with a resort scavenger hunt and has supervised childcare for ages 5 to 12, including adult date nights on Saturday. The indoor pool is a couple of minutes’ walk from the main resort building near the tennis courts. While the resort is relaxing enough for a weekend retreat, it’s the quantity of activities in the surrounding area that will have families planning a return visit. There are three main areas easily explored from the resort: the town of Half Moon Bay, the town of Pescadero and the road leading south to the tiny town of Davenport. This is a day-trip town for many San Franciscans because it has great restaurants serving local foods and a downtown with eclectic shopping. 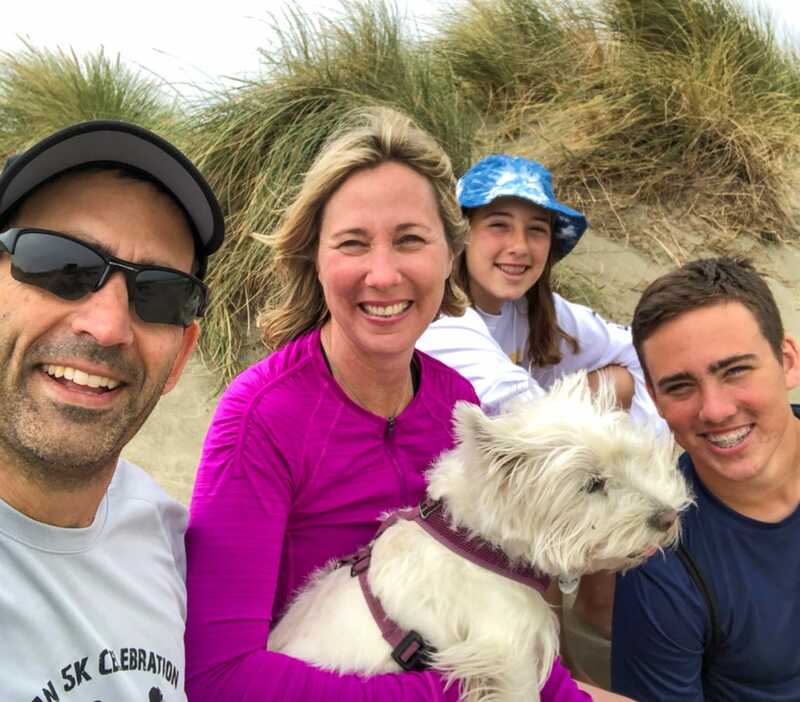 Favorite activities with kids include kayaking in the harbor with Half Moon Bay Kayaks, hanging out downtown for an ice cream, and making plant terrariums or necklaces at Oddyssea. During the fall, the pumpkin farms are very popular, and in the height of Dungeness crab season (usually mid-November through New Year’s) it’s fun to visit to the harbor to see the fisherman selling crab off the boats. The tiny town of Pescadero, about 20 minutes inland from the resort, has three main draws. Harley’s Goat Farm has goat cheese to sample and more products to purchase in the farm store. The town is also famous for artichoke bread, which can be purchased at Arcangeli Grocery on the main downtown road and pairs well with the goat cheese. And lastly, walk across the street from the grocery to Duarte’s Tavern for diner food highlighted by cream of artichoke or cream of green chile soup – locals like to do a half-and-half mix. Driving south from the resort, you’ll encounter self-guided tours of Pigeon Point Lighthouse, seasonal road stands selling local produce, and jam tasting (a must-stop with kids) at Swanton Berry Farm. The small town of Davenport has a few restaurants and shops and the Bonny Doon wine tasting room, where kids can climb into a medal spaceship wearing a myriad of funky hats and have their picture taken against a green screen. For younger kids there is a grassy lawn next door to run around. Editor’s Note: Kristi received a media package to review the resort for families. 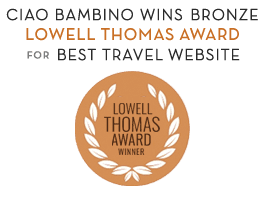 As always, our opinions are our own on Ciao Bambino. Photos by Kristi Marcelle.